1 Blemished Available: $343.20 This item is available as a Blem/Refurb. These are items that cannot be sold as "New" merchandise and are limited to stock on hand. See the product details for a description of the product's condition. 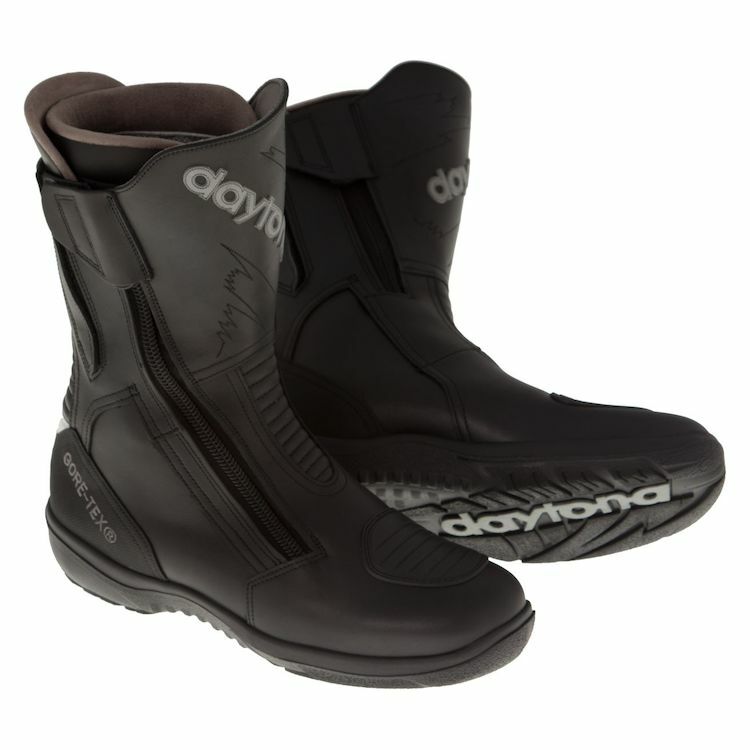 The most popular Daytona motorcycle boot is often copied, never achieved. 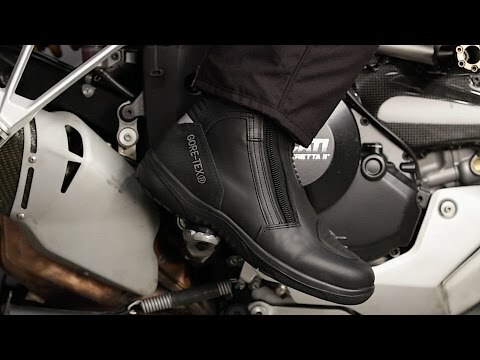 The Daytona Roadstar Gore-Tex Boots feature premium performance, protection and style, all backed with a GORE-TEX membrane, guaranteed to keep you dry. Safety is supplied by reinforcements at the ankles and heels while the boot has an adjustable calf to tailor the fit. My wife and I headed to the Revzilla store in Philly to try on some gear before buying (great experience BTW). Via research I really had my mind set on some Gore-Tex boots from Dainese and I just wanted to try some on and settle for a particular model. I'm a 10.5 - 11 US with slightly wide feet. Typically I have to bump up a size to have enough width and that's what was happening with the Daineses (I was trying on 45's). I like the Daineses but then my wife spied this Daytona model sitting on the shelf. At this point I had probably been walking around the store trying on various Daineses and trying to decide if I liked the fit for a good 25 minutes. So I tried the Daytona on; all I can say was that I was sold on them within 30 seconds of walking around. I finally had enough room around the front ball of my foot and the outside of my arch. Super super comfortable. I like the look too; a bit more muted than the Daineses but still stylish. I haven't ridden on them yet but I like everything about them so far. Terrific shopping experience! As usual! I ordered these earlier in the week and they arrived this morning - just as you expect from Revzilla! So I haven't been able to ride with them yet but instead are wearing them around the house today to begin the process of fitting them to my feet. The boots are remarkably comfortable right out of the box even though they are stiff and bulky compared to my other (non-moto) boots. I'm anticipating that as these loosen up a bit they will be wonderful. Anthony's sizing guidance is perfect: I typically wear an 11.5 American and 46 European, but the chart got it right that I should order a 45 in this boot. And that turns out to be perfect. With medium thickness socks these are the perfect size where a 46 would probably have been a bit too big. I love these, most comfortable riding boots I have ever owned! The curved zipper is a pain. I feel like I'm going to break it every time I zip it up. It just does not operate smoothly. Hopefully as they break in the zipper will start to work easier. I'm a 10.5 EE and it fit a little large. I looked at every boot on Revzilla website. I wanted to get out of the fake leather boots I've been wearing becasue fake leather just doesn't breathe and my feet sweated and were uncomfortable with my socks getting wet feeling while out on a tour. I've read all the reviews of these Daytona Road Star boots and they sounded just like what I needed. I just got these Daytona Road Star boots and I can't comment on how they perform out on the bike just yet so this review is about the sizing of the Daytona Boot and thought that maybe my experience with the sizing might help someone who is thinking about buying this boot. I was a bit confused trying to pick the right size. 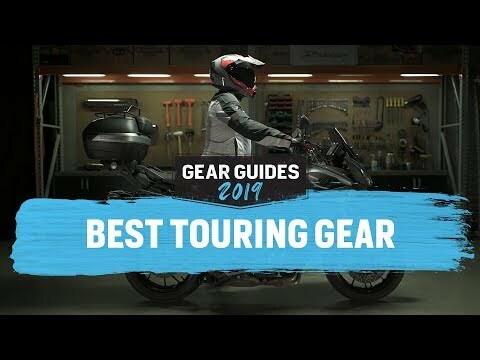 Revzilla says one thing and Daytona says another about the sizing...but after reading all the reviews here I found that the Revzilla sizing chart is the right sizing chart. The Daytona sizing chart is not right and the boots run large..at least for American size. I wear a size 11.5 in street shoes and my bare foot is 11.125" long and 4.125" at the widest. I went with size 45 in the Daytona boot. The Daytona size 45 is a 46 in my Sidi boots. The Daytona fits length wise and fits the widest part of my foot very nice, but the Daytona is very generous in the overall foot bed and thicker socks or a thicker insole would be no problem if desired. The Daytona boot feels American, whereas my Sidi boots feel European with a more narrow tighter fit...but when the Daytona and the Sidi are held up together they both look nearly the same width from the outside.... both boots fit my feet, but I prefer the American fit over the European fit. The Daytona Road Star boots felt comfortable as soon as I put them on and they didn't feel hot after having them on for a few hours in my house. I can only assume that while riding the bike with the wind flow cooling your feet these boots will be pretty comfortable...but I will have to report back on that after I have some experience with these boots on the bike. I wear a 12 or 13 wide or 4 EEEE in shoes depending on brand . New bal sneakers a 12 4 EEEE. These are the only boots that fit my Hobbit like feet . I have traveled far and wide ,& the only other shoe I could find to ride in are my Red wing work boots that don’t offer as much protection on the road as these . I have only worn them inside house for 2 weeks and am happy with fit . Right boots outside position zipper is difficult at times ,& was making me feel like returning , but I discovered changing a position that you may be in while zipping up boot will make it go easier. Have worn them up to four hours at a time & find for me a break in is not necessary . I like the way they look for a touring boot . You can feel the Teutonic quality in materials & construction . After all my searching I am so glad to have found them . I wish that Revzilla could use there purchasing power to get a few more brands to include a super wide foot bed like these . I find Garne the closest but still felt like a Geisha with my feet bound . Love Revzilla . Love return policy . If you can’t find riding boots due to width look at these . I will leave a review on how they seem to hold up & any other details that may help inform you next year . I've had these boots for right at 3 years now and two major problems have made evident the weaknesses in the boot's design. One is the main EP zipper, which despite my providing them with far more maintenance (per the manual) than I have with any other zipper, has come up about 5 years short of what I got out of the YKK zippers on my previous boots and a similar use case (if anything I used the Daytonas less over their lifetime.) The zip no longer reliably close, which is really unexcusable given the cost of this boot versus my previous boots. The second deficiency has to do with the design of the shift pad, which my bike's shifter immediately began cracking off at the inside edge after my first week of riding in them. Surprisingly it's held up much better than I thought, only finally losing enough of the edge a couple months ago. So now it opens up and occasionally wraps around my shift lever instead of sliding under it. That could have easily been avoided had they just wrapped it further around or all the way to the sole. Things the boot's do well. Reliably waterproof (though really after only 3 years of use, they should be), easy to get into and out of, and superbly comfortable even in blazing hot temperatures (>105°F) so long as your feet run on the dry side. I crashed in them a few times in the winter and a few of those times the boots had to protect my feet from toebox abrasion, which they did admirably. They don't seem to have a ton of protection compared to a sportier touring or track boot, but at low speeds they held up well and protected my feet and ankles from any injury. I really like that they have the zip on the outside instead of the inside of the boot. The problem with the inside zip is that the Velcro cover inevitably fails and then starts hooking on my footrest frame guard, which can make coming to a stop more exciting than it should be. No such problem with the Daytonas, which also don't have such a large Velcro flap waiting to fail on you and leak water into the boot such as many other boot designs do. Had these boots not had such glaring faults as the weak zipper and the inadequate shifter guard that cut its life tragically short, they would be the perfect boots for my use. I'm really sad to see them go. Usage: I commute daily, about 45 miles round trip, year round so long as it isn't snowing and the roads aren't icy. I've also taken these on a couple multi-day, cross country trips (~4200 miles over a couple weeks, including the several days spent off the bike.) I've hiked in them at national parks, and they're very comfortable as long as you don't need to hike at top speed or over slick or loose terrain. I don’t mind paying a premium for the best stuff when it truly is the best. It lasts longer and performs better usually. Why buy junk 5 times when u can buy quality once? I don’t know how these will last and wear long term, but my initial impression is that I made the right choice when selecting boots. Around town under jeans or under my touring gear, these boots are great. End of Aug I’ll be riding in them across KS to western CO in the summer heat. Just need all the Daytona boot care products in stock so I can order all at once and avoid the shipping!! Very fine boots. These are nicely made boots that fit well and are very comfortable to walk in (as motorcycle boots go). The wide size is plenty for my extra wide feet. The only thing that bugs me is that I have less maneuverability between the peg and the shift lever than I'm used to. It seems like I had more ability to flex my ankle/point my toe in my cheaper boots. I'm not sure if it's the ankle angle or sole that makes the difference. Hopefully the boot will wear in and my ankle/toe will be able to flex a little more. Otherwise my left leg is at a steeper angle than I prefer. Not a deal breaker; just something I hadn't considered.